Steel City Pops gourmet popsicles are made in small batches from the freshest all-natural or certified organic ingredients, locally-harvested where possible. Only sweetened with raw, organic cane sugar, never artificial flavors, colors or preservatives. 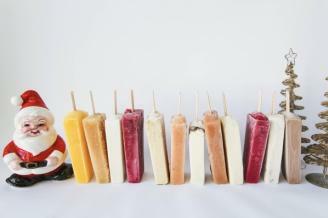 The menu features vegan-friendly fruity choices, and all pops are gluten-free and vegetarian.